The i600/i601 USB data acquisition system connects a Windows computer to sensors and controls via analog inputs, digital inputs and digital outputs31. The i600 and i601 are standalone systems -- no additional components, such as external power supply, are required. For a list of items included with the i60x product, click here. 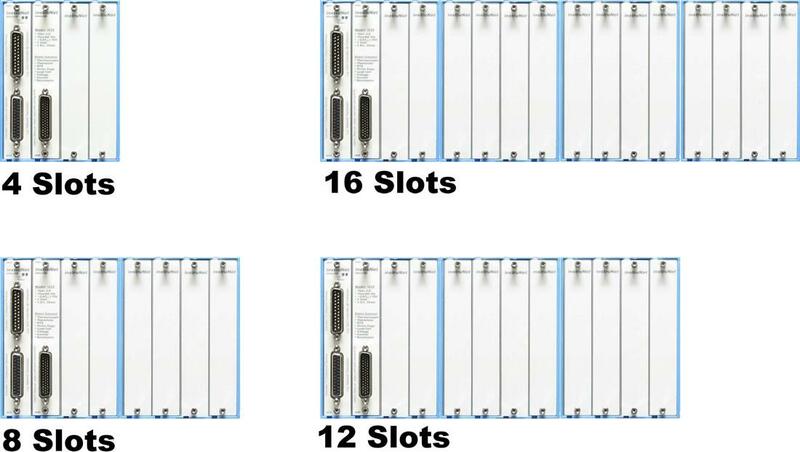 The i4xx cards slide into an instruNet card cage that is 4, 8, 12 or 16 slots wide; as illustrated below. The i400 product provides 4 slots. And multiple i400's can be bolted together by the end user, side-by-side, to create an 8, 12, or 16 slot system. In many applications, one i400 with 4 slots is sufficient. The slots are numbered such that #1 is the left-most slot, #2 is to the right of #1, and so forth and so on. 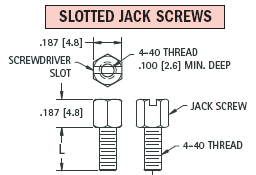 Cards are held into position with jackscrews that are tightened with a slotted screw driver. The i4xx Card Cage needs at least one i43x a/d card (e.g. i430) if one wants to measure analog voltages. The i43x series cards include an a/d converter and serve this purpose. The i42x series cards (e.g. i420, i423) contain various signal conditioning circuits and route signals along the backplane to the i43x for measurement. This happens automatically and does not require programmer intervention, other than insertion of cards and attaching end user signals to the card's front panel connectors. Each instruNet Db25 Network is controlled by an instruNet DSP Controller card that attaches to a Microsoft Windows computer. The i240 attaches to a free USB 2.0 High Speed port (requires windows ≥ XP Sp3), the i200 plugs into a free desktop computer PCI slot, and the i230 plugs into a free laptop PCMCIA slot. Each i2x0 Controller is an independent computer in itself that utilizes a powerful 32-bit DSP processor and onboard RAM to control all aspects of data acquisition along its network. All real-time tasks are off-loaded to this processor, therefore the host computer is not burdened with real-time issues. One can install between 1 and 8 Controllers, space permitting, since each controller operates independently. 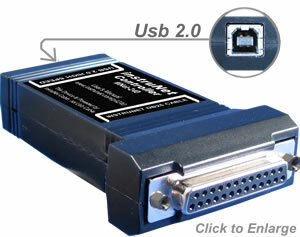 For details on working with multiple i240 USB Controllers, click here. Each instruNet network supports up to 8 instruNet Devices; where each device is a either an i4xx Card Cage or an i100 box. The i100/i4xx devices are connected in a daisy-chain configuration to form a chain of Devices. Each network can be up to 300 meters long. All networks are anchored with an instruNet Terminator at the far end, and an instruNet i2x0 Controller at the near end. This makes instruNet a cost effective method for designing large scale, high speed, multi-channel data acquisition systems. The following table summarizes computers compatible with instruNet. i60x USB 2.0 4"x2"x1" 32bit or 64bit Windows ≥ Xp Sp3 (i.e. Xp/Vs/7/8/10) Computer with 1 available USB 2.0 High Speed port (480Mbaud). i200 PCI Card 7" x 4" 32bit (not 64bit) Windows XpSp3/Vs/7/8 (not ≥ 10) Computer with PCI Rev 2.0 compliant (not pci ≥ 2.3), 32-bit, +5V slot. Almost ALL computers manufactured ≥ 2009 do not meet this requirement. For details, click here. i230 Pcmcia Card 2" x 3" 32bit (not 64bit) Windows XpSp3/Vs/7/8 (not ≥ 10) Computer with Type II PCMCIA compliant ≥ v2.1 (or ≥ PC-Card 95) PC-Card slot. instruNet Version ≥ 3.0 (2010) requires Windows Xp/Vs/7/8/10 computer with at least 256MB of RAM Memory and at least 256 MB of free disk space. 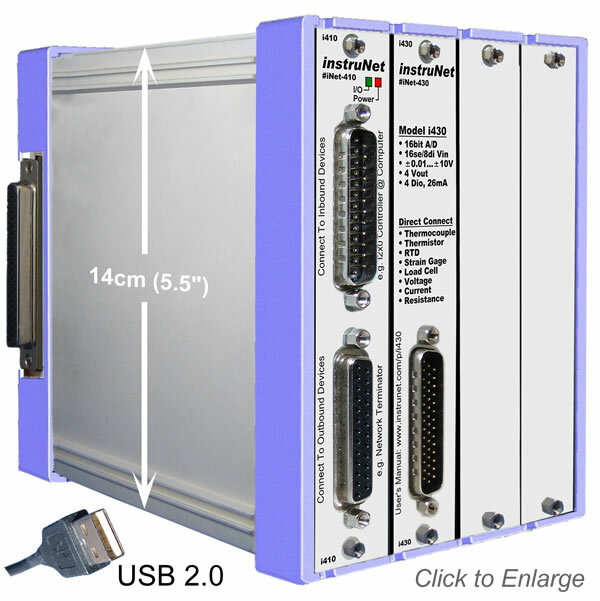 The i240/i60x USB controller requires 32bit or 64bit Windows XP Sp3 or newer. instruNet ≥ v3.0 does not run under linux, does not run on Windows 95/98/Me/Nt/2K computers and does not run on Macintosh computers. For more details on what is compatible with what, see instruNet Compatibility.